Sign up for our FREE course "Accelerate Your Jazz Skills"
Download our free eGuide "Learn Jazz Standards The Smart Way" and make sure you are setting yourself up for success! “Solar” is a tune written by Miles Davis and is featured on his hit record “Walkin”. However there is a controversy over this tune regarding authorship and some say that Davis’ “Solar” is essentially the same as a previously written tune called “Sonny” by guitarist Chuck Wayne. It was not uncommon for Miles to take credit for tunes that he did not write. Regardless, this tune has certainly been made popular by Miles Davis and is an essential jam session tune. You can consider the most common key of this tune to be C minor, however you will notice that it goes through four tonal centers: C minor, F major, Eb major and Db major. 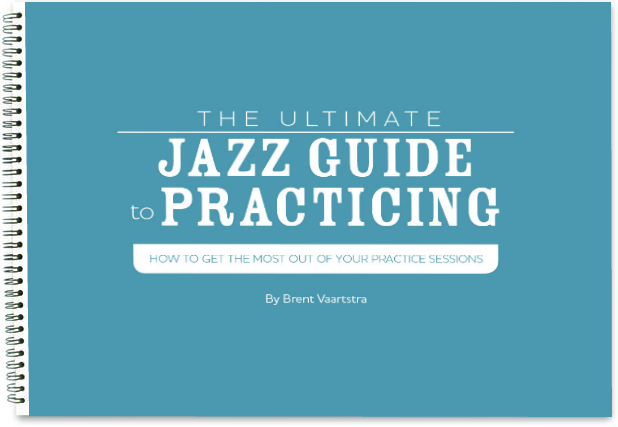 Subscribe and get our FREE eBook, The Ultimate Jazz Guide to Practicing!